Christianity was birthed in the context of Jewish monotheism. Firmly etched into the minds of Christ’s earliest disciples was the belief that God is the singular, transcendent creator of the universe. And yet, their encounter with Jesus Christ led them to believe He was Immanuel, i.e. God with us. The challenge facing the early church, then, was finding a way to reconcile their belief that the Father was God and Jesus was God, without compromising monotheism. That same challenge presents itself to us today. How are we to reconcile monotheism with the fact that the New Testament (NT) makes hundreds of distinctions between the Father and Son, and to a lesser degree, the Holy Spirit. If God is one, how could the Father and Son both be God seeing that the Father and Son are spoken of as distinct? To convey a sense of the magnitude of the problem confronting us, consider this small sampling of passages in which a clear distinction is made between the Father, Son, and Spirit: In the Great Commission, Jesus said all power was given to Him in heaven and in earth (Matthew 28:18). To be given something implies a distinction between one who gives and one who receives, and thus a distinction between Jesus and the one who gave Him all power. Jesus said the Father was greater than Himself (John 14:28). “Greater” is a comparative term that implies the presence of two distinct entities. Surely Jesus did not mean to say He was greater than Himself! On another occasion He said, “The Son can do nothing of himself, but what he sees the Father do; for whatever he does, the Son does likewise. For the Father loves the Son and shows him all things that he himself does” (John 5:19-20; See also 3:32). Here we have one showing, and one doing. Clearly Jesus is not showing Himself what to do. In another context He plainly said of His own ability, “I can of mine own self do nothing” (John 5:30). Even the words Jesus taught were first given Him by the Father (John 12:49-50). Once again we have one giving, and one receiving. All such statements point to a genuine distinction between Father and Son. Furthermore, Jesus said, “…even as I have kept my Father’s commandments, and abide in his love” (John 15:10b). One cannot keep their own commandments and abide in their own love. Such a statement implies the existence of one who gives the commandment, and one who keeps the commandment; one who loves, and one who abides in that love. Jesus spoke of the Father as being with Him (John 8:29), and Himself as proceeding from and being sent by the Father (John 8:42; 14:24; 16:27-28; 17:8, 18), returning to the Father (John 16:5, 7, 10), and as being sanctified by the Father (John 10:36). The Father is even said to honor the Son (John 8:55). Jesus told His disciples He would pray to the Father to send them the Spirit. The Spirit is said to proceed from the Father, speaking not of Himself, but speaking that which He will hear (Hear from whom? Himself?). The Spirit is even said to glorify Jesus (John 14:16-17; 15:26; 16:13-14). On another occasion Jesus said that if we love Him, then His Father will love us, and they will come to us and make their abode with us (John 14:23). If there is only one God, and both Jesus and the Father are that God, why does Jesus speak of the Father and Himself in the plural? Finally, Jesus said, “My Father has not left me alone; for I always do those things that please him” (John 8:29). Did He mean to say He always pleased Himself? It seems evident that Jesus was speaking of the Father as being someone other than Himself. One way of reconciling this dilemma came in the form of Trinitarianism. Trinitarians maintained that Father, Son, and Spirit are three eternally distinct persons within the one essence1 of God. While they successfully maintained the two truths that God is one, and that Jesus is God, they did so at the expense of redefining “one” to mean a “unity” of persons within the one essence of God. Such a redefining of monotheism brought the church to the borders of Tritheism. While it retained its belief in monotheism on a semantic level, it abandoned monotheism on the conceptual level. They endeavor to interpret this distinction in a way which shall nevertheless tally with their own opinions: so that, all in one Person, they distinguish two, Father and Son, understanding the Son to be flesh, that is man, that is Jesus; and the Father to be spirit, that is God, that is Christ. Thus they, while contending that the Father and the Son are one and the same, do in fact begin by dividing them rather than uniting them. For if Jesus is one, and Christ is another, then the Son will be different from the Father, because the Son is Jesus, and the Father is Christ. Trinitarians reacted fervently to this explanation because it disregarded the hundreds of distinctions we find in the NT between Father and Son.4 They maintained that the distinctions had to be genuine. In this they were right. Where they were mistaken was in their understanding of the nature and duration of the distinctions. They wrongly interpreted them as eternal and personal within God’s very essence, rather than temporal and incarnational. While modern Oneness believers have rightly found affinity with Modalism as the historic precursor of Oneness theology, we must not too readily identify ourselves with the entirety of their theology. We ought to embrace their understanding of God as a singular person, but avoid conflating Father and Son. Similarly, we ought to acknowledge the reality and genuineness of the NT distinctions as do Trinitarians, but avoid redefining monotheism in the process. Whereas Trinitarianism overemphasized and misunderstood the distinctions, Modalism ignored them or explained them away.6 Oneness theology can rise above the errors of both positions by acknowledging the genuineness of the distinctions, but find a better way of explaining the reason for their existence, all the while maintaining the uni-personal nature of God. Historically speaking, however, Oneness theology has tended to mimic Modalism's explanation of Father and Son as being mere nominal devices to refer to the same person of God, seeing no real distinction between the terms.7 This in turn has caused Oneness believers to use “Father” and “Son” as synonymous equivalents, exchanging one appellation for the other, and thus eliminating any real referential distinction between Father and Son.8 The reason for such a practice is typically the fear of violating the strict monotheism of Scripture. Such caution is well founded, but it has caused some Oneness adherents to adopt a hermeneutic which denies any real distinction between Father and Son, and thus ignores or explains away the hundreds of passages that make such a distinction. The fault does not lie in the caution to protect God's oneness, but in the fact that some feel the need to explain away the Biblical distinctions to protect monotheism, rather than explain why the distinctions exist. Oneness theology has always been in the quandary of finding a systematic way to confess God as uni-personal, and yet fully acknowledge and explain the Biblical distinctions between Father and Son without resorting to a Nestorian Christology. On both an academic and lay level, when Oneness adherents have admitted a real distinction between Father and Son, they have traditionally located it within Christ between His divine and human natures, thus effectively destroying the unity of His person.9 Such Nestorian slants are so prominent in the Oneness movement that some have concluded it impossible to embrace Oneness theology without embracing some form of Nestorianism. Of course, some Oneness theologians are acutely aware of this tendency, and have formulated a Christology that is both devoid of Nestorianism, and consistent with strict monotheism. Not only is this possible, but it is also necessary if we wish to adequately explain the distinction passages. We can avoid Trinitarianism and Nestorianism by locating the distinctions in their proper place. 1. It is a separation between two divine essences (Bitheism, Tritheism). 2. It is a distinction between two divine persons within one divine essence (Binitarianism, Trinitarianism). 3. It is a distinction within Jesus, between His divine nature (identified as "Father") and His human nature (identified as "Son"). 4. It is a distinction between YHWH's transcendent (cosmic) and incarnate modes of existence. From the Oneness perspective, and for our purposes here, options one and two are a priori ruled out, leaving only options three and four. Option three posits the Father-Son distinction as internal to Christ between His two natures (what I shall call the “internalist model”), while option four posits the Father-Son distinction as external to Christ between YHWH’s two modes of existence (in the incarnation as man, and beyond the incarnation as God—what I shall call the “externalist model”). The distinction must be either internal or external to Christ, but cannot be both. We now turn our attention to an evaluation of these two options. I will argue that the internalist model of the Father-Son distinction yields theologically disastrous results, and thus the externalist model is to be preferred. Locating the Father-Son distinction internal to Christ between His natures undermines Christ’s redemptive power. Redemption is not based merely on Jesus' moral perfection, but also on His personal identity. If a morally perfect man was all that was needed for propitiation to be made on our behalf, then the incarnation was unnecessary. God could have simply created a morally perfect man like Adam ex nihilo if that is all that was required. But how would the death of such a man be vicarious for all of humanity? What would give his death infinite value, sufficient to atone for the sin of the whole world? At best his sinlessness could secure his own personal salvation, but not the salvation of all men. Only the sacrifice of a person with infinite value can atone for our sins, and hence Jesus’ person must be divine. As Anselm noted, Jesus must be both God and man to accomplish our redemption because “no one can pay except God, and no one ought to pay except man.”10 If Jesus’ humanity is not God’s humanity in an ontological and personal way, then Jesus’ sacrifice did not atone for our sins. The internalist model turns Jesus into two beings residing in one body, like roommates sharing an apartment. If the distinction between Father and Son is a distinction between Jesus' divine and human natures, then when Jesus spoke He should have referred to “us” and “we,” not “I” and “me.” Jesus never spoke in such terms, however, because He was one person with one center of consciousness. Natures do not speak, pray, heal, and teach—people do. Likewise, it was not Christ’s natures that spoke, prayed, healed, or taught, but Jesus Himself, the God-man. All of Jesus’ actions and words were those of the God-man, not of a mere human or a mere divine nature. It would be impossible for some of Christ’s actions to be those of a man and some to be those of God, for such a notion posits two persons in Christ: one who is God and one who is man. This is impossible in light of a true incarnation of God. Jesus is God Himself existing as man, not God and a man existing together in one geographical locale; not a divine person and a human person coexisting side-by-side. Because Jesus is God’s human mode of existence, there must of necessity be only one personal subject in Christ—not two—and that one personal subject is God.11 In contrast to Jesus who is God existing as man, we are man existing as man. Just as we are the subject of all our actions, likewise God is the subject of all Christ’s actions. God is the one who experienced sleep, hunger, thirst, and pain. Christ's humanity is God's humanity by virtue of the incarnational act wherein He Himself became man, and thus all of Christ's acts are those of God Himself in genuine human existence. Jesus, therefore, is not God acting and knowing as God and man acting and knowing as man side-by-side one another, but God acting and knowing as man through His human mode of existence. Those who posit the Father-Son distinction as a distinction within Christ between His two natures believe that such an explanation is necessary to protect the oneness of God and the deity of Christ, but in reality such a position undermines the deity of Christ and the humanity of God. As such, it is incompatible with Christian theology in general and Oneness theology in particular. If Christ is two persons — one divine and one human — co-existing in one body, then Jesus is not a “he,” but a “they.” There would be two centers of consciousness, or two active subjects in Christ. It would follow, then, that Christ has two sets of experiences. The human person has one set of experiences, and the divine person another. For example, the divine person would have the experience of creating the world, but the human person would not. The divine person may inform him of this past act — so that the human person comes to know it — but the human person would only know it propositionally, not experientially. He himself would not have the experience of creating the universe because he did not exist at creation. And if he did not create the universe, then he is not God. Likewise, the human person would have the experience of consuming food, but the divine person would not. He could observe the human person’s act, but He would not experience it personally. His experience of it would be third-person, not first-person. If each person is the personal subject of different experiences, then Jesus is not God and God is not man. Jesus may co-habit the same body as God, but He cannot be God because He does not share in God’s personal identity. In like fashion, God may co-habit the same body as Jesus, but He cannot be man because He does not share in Jesus’ personal identity. For Jesus to be God, and for God to be man requires an ontological12 union the divine and human natures in the person of God. Anything less, such as a phenomenological13 and relational union, will not do. If Jesus’ human nature is the Son, so that when Jesus prayed, it means the human nature (Son) was praying to the divine nature (Father) within Him, then Jesus is not God, but a distinct human person co-existing alongside God in a shared body. He is a mere man in whom the Father dwells, as a roommate of sorts.14 But surely this is not grounds for thinking Jesus is God. Having someone indwell you, and being that someone are entirely different things. The first is a relational association while the latter is an ontological/personal identity. One who is not something in their very identity can, at best, only be near that something. To think of the Father-Son distinction as a distinction between Christ’s divine and human natures, then, is to say that Jesus of Nazareth has a relationship with God, but is not God Himself. Such a view is not Oneness, but is akin to the ancient heresy of Adoptionism, wherein God adopts an independently existing human person by filling him with His Spirit to such a capacity that he becomes "divine-like," but not God. So either Jesus is the divine person Himself in human existence, or He is just a man full of God's Spirit like ourselves, but in greater measure. If the latter, then Jesus differs from us only quantitatively, not qualitatively. For Jesus to be God — meaning to have God’s nature — requires that His person be singular, and that singular person be identified as YHWH Himself. A popular analogy of the incarnation among Oneness adherents is that of “God robing Himself in flesh.” While this analogy illumines the truth of Christ’s deity, it muddies the unity of His deity and humanity. To illustrate, consider a human and his/her clothes. It is one thing to say I am in my clothes, and an entirely other matter to say I have become my clothes. The former describes a relationship and geographical proximity, while the latter describes an identity. If Jesus’ humanity is merely God’s robe, then Jesus Christ does not share in God’s identity. Jesus, a man, cannot claim to be God. At best He can claim to be used by God or near to God, but He cannot claim to be God anymore than our clothes could claim to be us. To say that the distinction between Father and Son is only a distinction between the divine and human natures, then, is to say that Jesus of Nazareth has a relationship with God, but is not God Himself. Such a view is not germane to Oneness theology, but akin to Adoptionism, wherein Jesus is an independently existing man whom God filled with His Spirit to such a capacity that he became “divine-like.” If Christ’s claims to deity are to have any ontological meaning, there must be a metaphysical union His divine and human natures in one person, incapable of separation and internal communication. God did not merely wrap Himself in a human body, but rather brought human nature into metaphysical union with His divine nature so that He could personally and truly become man. If Christ is just a man in whom God dwells in a special way, as opposed to being the very incarnate person of God Himself, then worship of Christ is idolatrous, for we would be worshipping someone other than God. Only if Jesus’ human nature shares an essential and metaphysical union with the divine person/nature can the man from Galilee be considered to be God and be worthy of worship. A geographical proximity of two ontologically independent persons/natures in Christ cannot account for Jesus’ humanity being the very image of God Himself (Colossians 1:15; Hebrews 1:3). Only if God actually became man, bringing human nature into union with His own divine person , could Jesus’ humanity be said to be the very image of the invisible God. If explaining the Father-Son distinction as an internal distinction between Jesus’ natures (option three) undermines Jesus' essential deity and our redemption, another explanation is needed. I will argue that only option four can do full justice to the Father-Son distinction, while at the same time maintaining God's uni-personal nature, the deity of Christ, and the unity of His person. One of the most important Christological texts of Scripture is John 1:14: “the Word became flesh and dwelt among us” (John 1:14). To better understand the nature of the Father-Son distinction, and the need for rejecting certain conceptions of the distinction, we need to have a basic understanding of the incarnational “becoming.” The question at the center of the Christological dilemma is what it means for God to “become” man. How can God become man without ceasing to be what/who, or compromising the integrity of Christ’s humanity? Throughout church history theologians have understood this incarnational becoming in several ways. Some, such as Eustathius of Antioch, Diodore of Tarsus, Theodore of Mopsuestia, and Nestorius have understood the becoming as “coming to be in” (dwell in) a man. Others, such as Arius, Eutyches, and the Kenetocists understood the becoming as “changed into” a man. Both views are soteriologically deficient, however, because they compromise Christ’s ability to provide redemption for mankind. The first fails to ground Christ's deity in reality, while the latter fails to preserve God's immutability and/or the genuineness of Christ's humanity. Maintaining all three maxims requires that God’s incarnational becoming be of a certain sort. First, the union of the divine and human natures must be ontological, not merely functional. A functional union of the divine and human natures/wills cannot account for a true incarnation wherein God comes to be man. It can only account for God dwelling in, and working with/through a man. In such a conception of the incarnational becoming, Christ's humanity always has an existence independent from the divine person, and we lose any ontological foundation for thinking Christ is God. We are left with a Nestorian Christ whose two independent natures are joined in will, but not in person. Two independent natures merely coexisting together in one geographical locale is not an incarnation of God. God did not just come to be in a man, but came to be man. The only grounds upon which God can be said to be man, and the man He became can be said to be God, is if the union is ontological in nature. Secondly, the divine and human natures could not undergo change in the union. If God changed in the process of the incarnational becoming, it is no longer God who is man, nor man that God is.16 Any change in God’s being when He became man would necessitate that God ceased being who He is, and thus the man He becomes is no longer God—He is just a man who was once God. Jesus would merely be the transmuted form of He who used to be God, but is now someone/something else. To understand the incarnational becoming as God changing into man, then, destroys the grounds upon which to claim that Jesus is God. This precludes us from understanding the becoming as a compositional union of two natures into one new nature or new being. A compositional union always requires a changing of the divine and human natures into some new nature/being, whether it be by the mixing, diminution, or obliteration of the human and/or divine natures, and therefore must be rejected. For God to be man, and for it to be man that God is requires that God be immutable. It is God's immutability that guarantees that it is God who is man, and man that God is; however, it is often assumed that God’s immutability would prevent Him from becoming man in any ontological way. It is reasoned that an ontological becoming implies change, and such change is not possible if God is immutable, therefore the becoming cannot be ontological. As much as Nestorius saw the need for an ontological union of the natures to establish Christ's ontological deity, He could not conceive of such without destroying God's immutability or Christ's humanity, and therefore settled for a functional union of natures/wills (an indwelling of God in man). Others, such as Eutyches and the Kenoticists, understood that the union must be ontological, so were willing to sacrifice God's immutability and the completeness of Christ's humanity to attain this.17 Still others, such as Apollinarius, Gregory of Nyssa, Gregory of Nazianzus, and the Monophysites—wanting to preserve an ontological union and God's immutability—were willing to sacrifice the completeness and/or genuineness of Christ's humanity. The first sacrificed the ontological union to preserve God's immutability and Christ's complete and genuine humanity; the second sacrificed God's immutability and Christ's complete humanity to preserve the ontological union; the third sacrificed Christ's complete and genuine humanity to preserve God's immutability and an ontological union. All three felt the need to sacrifice one or two of the three Christological maxims because they incorrectly understood the incarnational becoming as a compositional union of two natures into one, rather than a personal union of a human nature to God’s eternal being. They mistakenly believed an ontological becoming requires a compositional union. It does not. Neither does God’s immutability prevent Him from becoming man in an ontological way. Rather, it guarantees that the man He becomes remains fully God, and guarantees that the humanity He assumed retains its integrity. Now that we have established the ways in which we should not understand the incarnational becoming, how should we understand it? 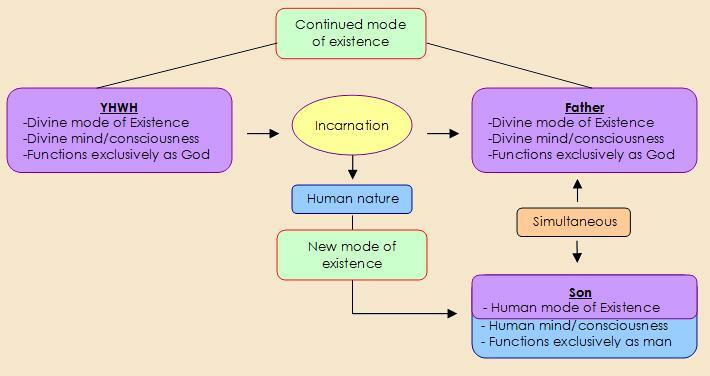 It seems best to understand God’s incarnational becoming as a personal and existential act in which God brought human nature into union with His own divine person, so that He Himself could personally exist as man — ­­experiencing human existence via the capacities of the human nature He assumed — all the while remaining God. The incarnational becoming is not a functional union of two independent natures, nor a compositional union of two natures into one new being, but God’s assumption of human existence. He continues to exist and function as God, but also comes to exist and function as man with a real human consciousness and psychology. This personal and existential becoming does not threaten God's immutability or the integrity of Christ's humanity, but does provide an ontological basis for God to be man, and for Jesus to be God. This will be explored in more detail in the following section. In summary, the incarnational becoming was not God coming to be in man, or God changing into man, but God coming to exist as man through a personal act of incorporating human nature into His person. Only by understanding the incarnational becoming as a personal and existential becoming, wherein God assumes a human mode of existence, can we maintain the three Christological maxims, a genuine distinction between the Father and Son, and avoid splitting up the unity of Christ's person. It is to an exploration of this existential distinction that we now turn our attention. Father and the deity of the Son is the self-same person, the Son is distinct from the Father in His mode of existence. “Father” refers to God’s divine mode of existence, whereas “Son” refers to God’s incarnate mode of existence; “Father” refers to God as deity alone, whereas “Son” refers to God as deity and humanity united in one theandric18existence. The union of the divine and human natures in Christ brought into being a mode of existence distinct from God’s normal and continued manner of existence beyond the incarnation as the transcendent, unlimited Spirit.19 There is, then, a distinction between who God is, and the manner20 in which He exists.21 The distinction is not an eternal distinction within God’s essence, but a temporal distinction beginning at the incarnation because of God's newly acquired human existence; the distinction is not between Christ's deity and the deity of the Father (Trinitarianism), or between Jesus' divine and human natures (Nestorianism), but between God’s divine and human modes of existence. To locate the Father-Son as internal to Christ between His two natures ultimately splits up Christ's person. Only an existential distinction external to Christ between God's two modes of existence can account for the genuineness of the Father-Son distinction, and avoid a Trinitarian or Nestorian view of Christ. God's human manner of existence should not be conceived of as God merely living in and acting through a human body. God did not just come to be in a man, but He came to be man.25 God utilized the attributes of human nature to personally exist as man. When He assumed a human existence, God assumed all that pertains to a human existence including a human consciousness, psyche, volition, etc. In His incarnate existence, then, God came to be conscious as man, and to know and act26 as man.27 He truly experienced human existence as man, not merely in His human nature, but through His human mode of existence/consciousness. A nature is not a who, but a what (a set of capacities unique to a particular kind). Natures are devoid of personality. To be instantiated in reality, human natures usually derive their personality from human persons. In the case of Christ, however, the human nature derives its personality from God Himself (called enhypostasis), not a separate human person. God did not assume a servant, but the nature of a servant; He did not assume a man, but the nature of man (Philippians 2:7-8). God personalized the human nature He assumed so that He could be a human person. “Christ is not a Spirit-filled person as we are, capable of living as a human apart from the Spirit.”28 Jesus' humanity finds its subsistence in the divine person, and has no independent existence from Him.29 God became man by personalizing Christ’s human nature so that He could personally exist as man. Just as we are the personal subject of all our experiences, likewise God is the personal subject of all Christ’s experiences. So whatever can be said of Christ’s human nature, can be said of God Himself. Human existence is finite in nature. God's becoming a man, then, was contingent on His willful acceptance of human limitations (Philippians 2:5-11): spatial limitations, epistemic limitations, etc. He could not simply discard those limitations when it was convenient for Him, because they are inherent to the existence He assumed. To cast off the limitations would require casting off His human existence. Seeing that the incarnation is permanent, it follows that in Christ, God is always conscious of Himself as man, and always functions as a genuine human being. Only in His cosmic existence transcendent to the incarnation is YHWH conscious of Himself as God, and experiences divine functions. What’s important to grasp is that YHWH’s duality of consciousness/function is not internal to Christ between His two natures, but external to Christ, between YHWH’s two modes of existence.As Father, YHWH is conscious of Himself as God, and functions as God via the attributes of the divine nature. As Son, YHWH is conscious of Himself as man, and functions as man via the attributes of the human nature. So Jesus qua Jesus does not experience both omnipresence and limited presence. As Son, YHWH only experiences limited presence and limited knowledge. And yet that same divine person transcends the incarnation as the unlimited God, and in that mode of existence He continues to experience omnipresence and omniscience. In Christ YHWH became conscious of Himself as man and functioned as man, not merely in His human nature, but through His human mode of existence. He continued to be conscious of Himself as God, and function as God in His cosmic mode of existence transcendent to the incarnation.31 While personally the same, the Father and Son are existentially, metaphysically, psychologically, volitionally, and functionally distinct. That there is a real psychological, volitional, and functional distinction between the Father and Son is evident from Mark 5:30. Here we read of a woman with an issue of blood, who received healing when she touched Jesus’ clothes. Jesus responded by asking, “Who touched me?” He was not feigning ignorance. He was genuinely unaware of the woman’s identity. He knew someone had been healed only because He felt power flow out from Him. Now, we know supernatural events are not spontaneous. They happen only when God wills for them to happen. But it seems clear that Jesus did not exercise any volitional power to heal the woman, for if He had, He would have known who it was whom He willed to heal. But He didn’t. Jesus’ experience was passive, not active. So who healed her? Since it was not Jesus’ act of volition that resulted in the woman’s healing, it must have been the Father’s. This is highly significant, for it demonstrates a genuine psychological, volitional, and functional distinction between Father and Son. The Father was doing one thing (acting to heal), while the Son was doing another — completely unaware of what His Father is doing. An internalist understanding of the Father-Son distinction fails to account for this. How, after all, could Jesus be unaware of what the Father had done if the activity of the Father was internal to Jesus? It makes better sense to understand “Father” to refer to God’s continued existence transcendent to Christ, and His locus of activity to be external to Christ. Understanding the Father-Son distinction as an existential distinction between the uni-personal God's two modes of existence is not akin to Trinitarianism. As opposed to Trinitarian theology which posits three persons in the Godhead respectively, I acknowledge only one divine person, but see that one person coming to exist in two distinct ways after the incarnation. The incarnation did not create a second divine person; it simply changed the one person’s manner of existence. What is being distinguished is the manner in which the one divine person has come to exist/function, not the person Himself. When God became a man in the incarnation He began to exist as man in addition to His existence as God. Jesus is the same personal God, YHWH, but existing in a new way (as man). This is no different in principle from the Trinitarian teaching that the second person of the Trinity came to exist as man, and yet continued to exist as the unlimited Son beyond the incarnation without becoming two persons. Where Oneness and Trinitarian theology differ is not in our confession of a dual existence for a single divine person, but on the identity of that person. Trinitarian theology understands that person to be the second person of a tri-personal God, whereas Oneness theology understands that person to be the one uni-personal God Himself, YHWH. In both theologies, however, one person assumes a dual mode of existence, all the while remaining one person. Understanding the similarities between these two theologies has great apologetic value. Any Trinitarian who might charge the Oneness understanding of a single person assuming a dual existence as nonsensical must recognize that this charge would be equally applicable to Trinitarianism; and any charge that Oneness theology subtly introduces another person into the Godhead is no more unfounded than the idea that Trintiarian theology subtly introduces a fourth person into the Godhead. God's dual mode of existence could be likened to a balloon and air. Air is invisible, and yet everywhere present in our atmosphere. A balloon, on the other hand, is visible, and has a definite and limited spatial location. Air has no shape or appearance, but when it fills a balloon, it takes on a finite and limited spatial location, and becomes visible to us—not directly—but through the balloon. Without the balloon we would not be able to see the air, and without the air the balloon would not be able to fulfill its telos. Similarly, God is invisible and omnipresent. He cannot be seen directly (John 1:18; 1 Timoty 1:17; 6:16; Hebrews 11:27; 1 John 4:12). Jesus, however, is the image of the invisible God (Colossians 1:15; Hebrews 1:3). Jesus said, “He who has seen me has seen the Father” (John 14:9; See also 12:45). Apart from Christ, we could never see God. In Christ, however, we see Him—not directly, but indirectly through the human existence He assumed. The air in a balloon is not confined just to the balloon. As a substance, air continues to exist beyond the balloon as well. Likewise, the Spirit of God in Christ continues to exist beyond Christ as the omnipresent Spirit.32 God did not cease inhabiting the heavens when He became man. He exists both in the balloon, and beyond the balloon if you will. And just as the air in the balloon is the same substance as the air that continues to exist beyond the balloon, likewise the Spirit in Christ is the same Spirit that continues to exist beyond Christ. It is not a different divine person, but the same person in a different mode of existence. Although we recognize the air in a balloon to be the same in substance as the air beyond the balloon, we would not call the balloon “air,” nor would we refer to the air beyond the balloon as “balloon” because we recognize that in each case the air is existing in a different manner. The material object (balloon) filled with air is distinct from the air itself, although the same air fills both the balloon and the atmosphere. In the same manner we should not call the Father “Son,” nor the Son “Father,” for in doing so we confuse God's personal manner of existence as God with God's personal manner of existence as man. Did God Change in the Incarnation? If God comes to exist in a new manner at the incarnation, does this mean God changed?33 No, God did not change in the sense that He ceased being anything He has ever been. God remained who He is. God did change, however, in the sense that He assumed a mode of existence He had not assumed before, and experienced something—being human—He had never experienced before.34 While Scripture affirms that God does not change (Malachi 3:6), this speaks of His character and faithfulness, not His ability to experience anything new. While God’s essence and character is immutable, God’s experience can and has changed throughout history, most notably in the incarnation. In fact, it is God's immutability that guarantees that in the incarnation it is truly God who is man. If God was not immutable, He may have undergone change in the incarnation, and thus ceased to be God in the process. Trinitarianism holds that there are three eternally distinct persons within the one essence of God. Oneness theology, however, admits no such personal distinctions within God. Whereas in Trinitarian theology the Father-Son distinction is between two divine persons, in Oneness theology the Father-Son distinction is between the one divine person’s divine and human modes of existence. Whereas in Trinitarian theology the Father-Son distinction is eternal in duration, in Oneness theology the Father-Son distinction comes into existence only at the incarnation. Whereas the Trinitarian distinction is eternal and unrelated to the incarnation, in Oneness theology the distinction is temporal36 and exclusively bound up in the incarnation. In light of these differences, to confess a distinction of existence between the Father and Son is not a quasi-Trinitarian confession of an internal division of persons within God's nature. Rather, it is a recognition that when God took to Himself a human existence He took upon Himself a second, distinct mode of existence. While we must reject an eternal, personal distinction within God's very essence, we cannot reject a temporal,37 existential distinction between Father and Son brought into being by the incarnation. We ought to learn from the mistakes of both Modalism and Trinitarianism not to emphasize either the oneness or distinction passages to such an extent as to ignore or redefine the other. Neither let us make the mistake made by the Modalists who saw any recognition of a true distinction between Father and Son as an attack on God's oneness. We must confess a true distinction in light of the Biblical data, but must seek to understand where such a distinction resides. We should not understand the Father-Son distinction as being located between Christ’s divine and human natures, for such destroys the unity of His person (Nestorianism), undermines the very grounds upon which our redemption was accomplished, and undermines Jesus' essential deity–all of which are incongruent with Oneness theology. The best way to confess God’s uni-personal nature, a real distinction between the Father and Son, the deity of Christ, the unity of Christ’s person, and the reality of our redemption is to understand the distinction between Father and Son to be an external, incarnational distinction between the one God’s incarnate existence as man, and that same God’s continued existence beyond the incarnation as He exists in Himself. Only an incarnational, metaphysical, and existential distinction between Father and Son is congruent with the basic tenants of Oneness theology. It adequately explains the reason for the Father-Son distinction, and maintains the truth of God's uni-personal nature. When it comes to understanding the appellations “Father” and “Son,” there are only a limited number of options from a Oneness perspective. We could say “Son” refers exclusively to Jesus’ human nature, while “Father” refers exclusively to Jesus’ divine nature, but such an explanation assumes an unbiblical definition of “Son,” and threatens to destroy the unity of His person. While the appellation, “Son,” certainly originated with the incarnation and God’s assumption of human nature, it cannot be “assigned” to either of Jesus’ natures. “Son” refers to Jesus' whole person, both deity and humanity united in one existence. Consider for example, Hebrews 1:8-9. The author connects “Son” with “God,” saying, “But unto the Son He says, ‘Your throne, O God...’.” If Son referred only to Christ's human nature, such a statement would be meaningless. Clearly the author of Hebrews is attributing deity to Son. Another example is found in Matthew 16:16-17, where we are told it was revealed to Peter that Jesus is the Son of God. If “Son of God” refers only to Jesus’ humanity, no revelation from the Father would have been necessary. Anybody could have seen that Jesus was a human being by just looking at Him. Even the unbelieving Jews understood Him to be a genuine human being. It is what the Jews could not believe, that Peter understood by the revelation of God; i.e. Jesus was divine, being both God and man simultaneously. While “Son” refers to more than Jesus’ human nature, it is not appropriate to apply the term to God apart from the incarnation in Christ. “Son” is a relational term arising only in the incarnation, emphasizing the humanity emerging in the incarnation, but at the same time not excluding the divine nature. “Son” never refers to the incorporeal Spirit alone apart from referencing the humanity of Christ. Oneness believers are against the term “God the Son” because it equates the word “Son” with deity alone, for which there is no Biblical support. “Son” emphasizes the humanity God assumed in the incarnation, but does not exclude Jesus’ deity from this reference. Only the whole person of Christ, both deity and humanity, can rightly be called the Son. The Biblical Use of "Father" and "Son"
Because Oneness Pentecostals understand that the person of the Father is identical to the person of the Son, we are often tempted to use “Father” and “Son” interchangeably, calling Jesus (Son) the Father and calling the Father Jesus (or Son). In light of the modal distinction these appellations represent, however, I think this temptation needs to be overcome. While it is true that the Father and Son are the same person, “Father” and “Son” are used in Scripture to distinguish God’s divine mode of existence (Father) from His human mode of existence (Son). “Father” speaks of God’s cosmic mode of existence, while “Son” speaks of that same God’s existence as man. To use the two appellations interchangeably on the basis that we know the Father and Son are the same person not only disrespects God's revelation, but it also tends to confuse the distinction between God’s cosmic and human modes of existence. The deity of the Son is known as “YHWH” prior to the incarnation, and “Son” only after the incarnation for the purpose of distinguishing God's new existence as a human being from God's continued existence as God. “Father” and “Son” are relational terms arising in the incarnation to describe the temporal38 relationship between God’s cosmic and human modes of existence. 1. Meaning the qualities and attributes that make a thing what it is. 2. My comments regarding Modalism are broad in scope, meant to represent the broader theology of the Modalists rather than the theology of any particular Modalist such as Praxeas, Noetus, or Sabellius. I realize that each of these theologians had their own unique contribution to Modalistic theology, but I am seeking to bring out the common approach and presuppositions underlying them all. It should also be noted that it is difficult to determine the exact theology of the Modalists because their writings/beliefs have only survived within the writings of their theological opponents. We cannot be sure how accurately church fathers such as Hippolytus and Tertullian understood and/or conveyed the Modalists’ theological perspective. 3. And/or also by alleging that "Son" referred only to Jesus' humanity, while "Father" referred to Jesus' deity. Such a use of the Biblical terms is inaccurate. 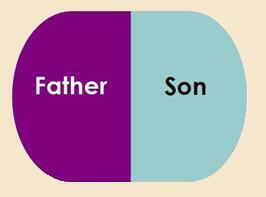 See Appendix I and II for a fuller discussion on the proper use of "Son" and "Father." 4. I use "Trinitarians" loosely here, realizing that the doctrine of the Trinity had not yet fully developed when the church fathers, such as Tertullian and Hippolytus, made their evaluation of Modalistic Monarchianism. 5. While I find error in both Trinitarian and Modalistic theologies, they are not equal in error. I am persuaded that the Modalists were closer to the Biblical truth than were the Trinitarians, however, in saying they were “closer” I am acknowledging that they had room for improvement, and thus are not above critique. Personally, I find great affinity with Modalistic Monarchianism, but I wish to point out its shortcomings so that we may avoid them in the development of our own Christology and theology proper. 6. As stated previously, they also resorted to a Nestorian-like view of Christ wherein “Son” was understood to refer only to Jesus’ human nature, while “Father” refers only to Jesus’ divine nature. 7. When we have made a referential distinction between Father and Son, it has typically followed the Modalistic explanation wherein “Son” is said to refer to Jesus' human nature, while “Father” refers to His divine nature. See Appendix I for the proper use of Son. 8. Theological formulation is often reactionary in nature. When one group sees an error in another group’s theology, they often compensate for it by over-emphasizing a truly Biblical concept to such an extent that their own theology becomes unbalanced, and unbiblical. I fear that Oneness adherents have reacted to Trinitarian theology in ways that have caused an imbalance in our own theological formulation; that we have allowed Trinitarianism to shape our understanding of God rather than Scripture. neness adherents recognize that Father and Son are not distinct persons in the Godhead, but overreact by overemphasizing their unity their reaction itself becomes on the contrary point. or over-emphI see this as one example in which Oneness theology has reacted to Trinitarian , and adherents have often This is just one of the ways in which Oneness believers have allowed Trinitarianism to shape our understanding of God, rather than Scripture. Too often we will over-emphasize a Biblical teaching to disassociate ourselves from a Trinitarian teaching, or under-emphasize a Biblical teaching for fear of its association with Trinitarianism. Both cause us to postulate a reactionary theology, rather than a Biblical theology. This is not to say that theology can be done in a vacuum, or that we should not emphasize certain Biblical teachings in reaction to errors that creep into the church, but it is to say that we must not let those errors cause us to distort or ignore facets of the Biblical teaching for fear of "sounding Trinitarian." 9. This is evidenced by our traditional use of "Son" to refer strictly to Jesus' human nature, and not to Jesus' whole person--both deity and humanity united in one existence. See Appendix I for more information on why we must reject the teaching that "Son" applies only to Jesus' human nature. 10. Anselm, Cur Deus Homo 2.6. 11. Yes, it is true that Christ has both a divine and human nature, but His human nature is not a distinct human person. There is only one person in Christ, God, and that one person merely incorporated a human nature/existence into His one divine person. God came to exist as man by assuming human nature into His divine person, not be uniting Himself to an ontologically separate existing human individual person. 12. Ontology is a branch of philosophy that studies ultimate reality. To speak of an “ontological” union, then, is to speak of a real union of substances, as opposed to the mere appearance of a union. 13. Meaning "the appearance of reality according to human perception." 14. The Scripture speaks of God dwelling in Christ, and the Father as being in Christ (John 10:38; 14:10-11; 17:21; 2 Corinthians 5:19; 1 Timothy 3:16), so by no means am I condemning the use of such language. I am merely offering a corrective to an illegitimate understanding of these Biblical statements. When Scripture speaks of God being in Christ, it is not suggesting that God merely occupies “space” in the man Jesus. Other passages indicate that God’s presence in Christ goes beyond a mere indwelling. For example, John says “the Word became flesh” (John 1:1, 14). While “in” could be interpreted to mean a moral/functional union, ”become” implies something much greater; i.e. an ontological union. We must understand the former in light of the latter. When Scripture speaks of the Father as being “in Christ,” it is not attempting to explain the metaphysical realities of Christ's person, but rather the functional reality of the incarnation. It is a simple way of expressing the truth that God was working in and through Christ, because Christ's humanity was God's humanity by virtue of the incarnational becoming and hypostatic union. Jesus is God's existence as a human being. Particular attention should be given to John 1:14 because some place the emphasis on “dwell” rather than “become,” maintaining that “dwell” describes the manner in which God became flesh. The incarnation is said to be God dwelling in, or tabernacling in a man. I think this interpretation is mistaken. Grammatically the Word did two things: He "became" and "dwelt," in that order. Once the Word became flesh, He then lived among us as man. “Dwell,” does not describe how the Word became flesh, but rather what the Word did after He became flesh, namely He lived among men. 15. Thomas G. Weinandy, Does God Change? : The Word's Becoming in the Incarnation, Studies in Historical Theology, Vol. IV (Still River, MA: St. Bede's Publications, 1985), 82. 18. Not all Kenoticists would fall into this camp. Thomasius and Charles Gore, for example, denied immutability but confessed a relatively complete and genuine humanity. They declared that God emptied Himself of His relative attributes (the omnis), but not His essential attributes (love, justice, holiness, etc.). Others, such as Weston did not deny God's immutability, but did seem to deny the genuineness of Christ's humanity by alleging that God merely exercised self-restraint of His divine attributes to the level that the humanity had the capacity to mediate. In this line of reasoning Jesus' consciousness is essentially a truncated divine consciousness, tailored to a human level, not a human consciousness. Denying Jesus a genuine human psychology mitigates His genuine humanity. It is also difficult to put Kenoticism into one camp because many Kenoticists seem to deny Christ's complete deity and confess His complete humanity prior to Christ's glorification, but then affirm His complete deity and deny His complete humanity after His glorification, seeing a full restoration of His deity and a deification of His humanity upon glorification. So whether it is before or after Christ's glorification, Kenoticists tend to deny God's immutability and genuine humanity at one point or another. 19. Coming from the Greek theos (God) and anthropos (man). 20. The union of the divine and human natures in Christ should not be conceived as a blending or mixing of deity and humanity into one composite being that is neither fully God nor fully man (tertium quid, or "third something"). The incarnational becoming (John 1:14) is God taking on a new manner of existence, yet remaining both fully God and fully man in the process. If deity and humanity formed a new substance in the union it could not be said that it is God who is truly man, or that it is truly man that God became. 21. Some may misunderstand the terminology, “manner of existence,” thinking it implies a denial of the genuineness or completeness of Christ's humanity. I wish to make it clear that no such thing is being implied by my usage of this terminology. When I say "manner of existence," the genuineness of the existence is not being described or questioned, but rather the type of existence. If I asked, What is your manner of traveling?, it would be understood that I was questioning the way in which they were traveling, not the genuineness of their traveling. The traveling is genuine, but there are different ways to travel. The same applies to existence. Existence is genuine, but there are different types of existence. There is a human way of existing, and a divine way of existing. God exists in a divine way, while humans exist in a human way. Typically things always exist as what they are. If you are a duck, then you exist in a "duckly" manner. If you are a man, you exist in a humanly manner. But when we come to the incarnation we are confronted with something entirely different. Here is something, God, that comes to exist in a way that is "out of His league" so to speak. We cannot look at the subject and automatically assume His way of existing, because never before in history has a divine subject ever existed as anything other than a divine being in a divine way. But in the incarnation the divine subject comes to exist as man while continuing to exist according to His "normal" way of existence. The terminology may sound so strange because the situation is so strange. The incarnation is the only example I know where a particular identity exists in a way that is different than their identity. How is it that God can be man? The world has never heard of such a thing. The only thing I can compare it to is the caterpillar, but even this is an imperfect analogy. A caterpillar starts off as a caterpillar, but eventually becomes a butterfly. The identity of this insect is that of a caterpillar, but in the process of time it comes to exist as a butterfly. Did the personal identity of that caterpillar change? No. It is the same thing, the same "thinking" substance. What changed? What changed is the way (manner) in which that butterfly exists. It now exists in a different manner than before. It could be said, then, that the butterfly is the caterpillar's "butterflyly" manner of existence. And when I say that the caterpillar is "existing as a butterfly," in no way would such a statement imply that the butterfly is not a genuine butterfly. The subject stays the same-the butterfly-but the way in which that butterfly has come to exist has changed. Now of course God did not cease existing as God in order to exist as man, and that is where the analogy breaks down. The analogy only serves to show how one subject can come to exist in a new manner while still retaining their personal identity. 23. It might be said that while God exists beyond the incarnation, the incarnation does not exist beyond God; i.e. God was not transmuted into a human being (He retained His divine attributes and identity), and that Christ's humanity has its subsistence in the divine person. 24. Because the distinction is bound up in the incarnation it is not eternal, and neither is it rooted in God’s essential deity as in Trinitarian theology. The deity of the Son and the deity of the Father are not two distinct divine persons in the Godhead, but the same person in two distinct modes of existence. There is a distinction, then, between God as He exists in Himself, and as He has come to exist as man. The distinction is not between God and God, God and an individual man, or a divine nature and a human nature, but between God's two modes of personal existence. God's newly acquired existence as man must be distinguished from God's normal existence as He is in Himself because of the acquisition of the human nature. The acquisition of the human nature is the cause of the distinction, not the location of the distinction (as in Nestorianism). 25. While God’s acquisition of a human nature in the incarnation is the cause of the Father-Son distinction, it is not the location of the distinction as it is on an internalist view. 27. I do not use “act” or “acting” in the sense of “pretending,” but in the sense of performing “actions” (speaking, healing, praying, sleeping, eating, teaching, etc.). 28. The incarnation should not be conceived as God knowing and acting as God, but as God knowing and acting as man by virtue of His acquisition of a human existence/consciousness. To say that God as God knows and acts in Christ is to deny Christ a truly human consciousness, rendering many passages of Scripture meaningless, such as those that speak of Jesus as growing in wisdom and lacking in knowledge. Only if God was consciously existing as man in the incarnation could we make sense of such human limitations as applied to Christ (at least without resorting to Nestorianism). To claim that Jesus' consciousness is divine rather than human rings of the ancient Apollinarian heresy wherein Christ is devoid of a human psyche and personality. If God as God is merely acting through an empty human vessel with no real human mind/consciousness, then Jesus is nothing more than a mindless bag of flesh, animated and controlled by the divine mind, not a genuine human being. And if God is conscious as God in Christ, then we must also conclude that Jesus' prayers were nothing more than God praying to Himself, because the one praying and the one being prayed to are the same person. Unless we are willing to diagnose God with divine schizophrenia and deny the integrity of Christ's humanity, we must acknowledge Jesus' consciousness as human. Only with a genuine human consciousness would Christ truly have need for prayer, and be able to have a genuine relationship with the Father. 29. David Bernard, Clifford Readout, and J.L. Hall, “The True Humanity of Jesus Christ”; Position paper of the United Pentecostal Church International, March 2004. 30. This is why the virgin birth is such an important doctrine of Christianity. The virgin birth was not necessary to avoid passing on a sinful nature to Christ (such an idea presupposes our predisposition toward sin is passed on solely by males, for which there is no Biblical support. Jesus was spared this predisposition of fallen human nature by an act of God), but to avoid creating a separate human person. Human persons come into being at conception with the joining of male and female gametes. Without the contribution of male gametes, no human person was created. Instead, the divine person Himself took on human existence using the biological contributions of Mary. 31. Garrett J. DeWeese, “One Person, Two Natures: Two Metaphysical Models of the Incarnation,” in Jesus in Trinitarian Perspective: An Introductory Christology, eds. Fred Sanders and Klaus Issler (Nashville, TN: B&H Academic, 2007), 145-6. 32. Does this mean, then, that God has two consciousnesses? Yes and no, depending on how we understand such a statement. Indeed, God has acquired another consciousness in the incarnation, so in a sense we might say that now God has two consciousnesses. While God has acquired another consciousness in the incarnation, it is a human consciousness, not a second divine consciousness. There is no duality of consciousness within God's being after the incarnation, so we cannot say God as God has two consciousnesses. God as God has only one consciousness, but God as man has a human consciousness as well. God's newly acquired human consciousness is not internal to His divine essence, but is externally His by virtue of His assumed human nature. This is in contradistinction to Trinitarianism, which posits three personal consciousnesses within God’s very essence. 33. All analogies break down at one point or another, this one being no exception. Explaining the incarnation as air filling a balloon could be taken in a Nestorian or Apollinarian sense inferring that God merely dwelt in human man/body. This is by no means being inferred here. The analogy is also inaccurate in another area. It is obvious that all of the air cannot be both in the balloon and continue to exist beyond the balloon at the same time, but with Christ we know that the fullness of the Godhead dwells in Him bodily and yet God also continues to exist beyond the incarnation in His fullness. See my article titled "How Can God's Fullness 'Fit' in Such a Tiny Place as Christ?" 34. This issue of God changing in the incarnation is not unique to Oneness theology. It confronts Oneness and Trinitarian theology alike because both confess a true incarnation of God into a human existence. The question is how God could become man without experiencing change, no matter if the God who became man is the second person of a tri-personal God, or the uni-personal God of Oneness theology. 35. How could it be that God could become incarnate as man without something changing? We must admit that something is different after the incarnation from what it was before the incarnation. If we say that there really was not anything new or different, then we are forced to concede that God has always been incarnate, or to deny the reality of the incarnation altogether. If we interpret anything "new" for God to mean that God changes (such as a new manner of existence as man) then most assuredly God could not have become incarnate. A true incarnation of God demands that we assume something is different for God after the incarnation than it was before the incarnation. Because we realize that God must remain God in the incarnation, we understand that the incarnation involved a change in God's manner of existence, and thus in His experience, but not in His essential nature as God. This recognizes that something changed when God became incarnate, without at the same time confessing that God Himself changed in Himself. 36. Origen First Principles, preface iv; available from http://www.ccel.org/fathers2/ANF-04/anf04-44.htm#P6205_1085826; Internet; accessed 4 April 2002. 37. Not to be confused with "temporary." 38. Not to be confused with "temporary."